My name is Robert Jan Verkuylen and I have worked with Ellie as a General Manager since the beginning in 2013. I am working on everything from Finance and Administration to managing our team. I like working with our small group to determine how we can have maximum impact using the new technologies that the internet gives us. In my opinion, the company is full of potential, so it’s pretty exciting to try to bring it to the next level by improving our systems and processes. In my free time, I try not to work, but I don’t always succeed. I am also Ellie's husband and I do spend a lot of time with our 3 young children and love coaching their field hockey teams. In addition to that, I also enjoy boxing or opening up the newspaper, whenever there’s a break in the action. 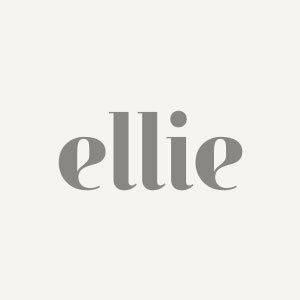 My name is Corine van Zantvliet and I have worked with Ellie since the launch of Ellie Cashman Design in 2013. It has been really fun to be involved in the development of the brand from the beginning up until this moment. I am now working as Office Manager, happy to help Ellie wherever I can and my priority is to make sure everything is running smoothly. In addition, I am trying to offer an excellent customer service to our customers. Besides all of these activities, I also love to spend my time by reading, taking a walk in the outdoors and playing tennis. My name is Renee van den Besselaar, I am 20 years old and currently studying Media, Information and Communication (part time) in Amsterdam. I chose this study because I like the balance of business and creativity. Besides that, my part time study gives me the opportunity to mix and match between my study, work experiences and social life. I have worked with Ellie sinds June 2017. She gives me the full freedom to experiment with creative content for her website and social media. I am really thankful for the chance to see which of my ideas work best. In addition to my focus on marketing, I enjoy helping clients. In my spare time, I love spending time with my friends and family in my hometown ‘s-Hertogenbosch or in my second home: Amsterdam. We are often surprised by seeing what our clients can do with Ellie's products. For any questions or if you just want to show off your finished project, feel free to contact: info@elliecashmandesign.com.